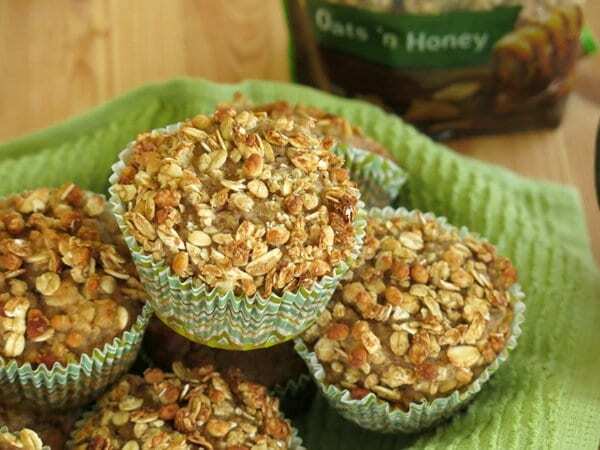 Granola does double duty in these Healthy Granola Muffins. It’s mixed into the batter for pops of crunchy flavor and beautifully crowns the top of this healthy muffin. You’re gonna want one for your lunchbox! Raise your hand if you could use just a wee bit more energy. I’ve got both hands raised. The transition from summer to fall is swift. Lazy summer days have quickly turned into a marathon of carpooling, homework and after-school activities. These muffins taste as good as they look. You’d never know that they’re made with no oil (applesauce does the job of keeping them super moist) and a whole wheat flour blend. I’ve got a trick that makes them simple to make and super tasty. Rather than chopping up nuts or fruit, just mix granola into the batter. As for the eye-catching topping, spoon more granola over the batter before baking. 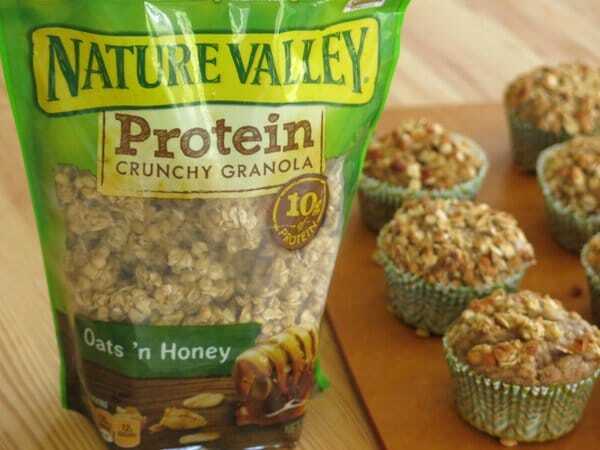 I was thrilled to find a new product to use in this recipe: Nature Valley™ Protein Granola. 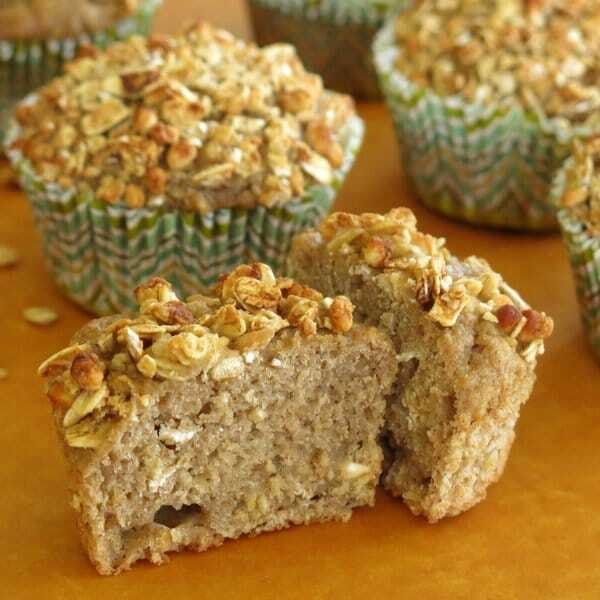 The Oats ‘n Honey variety perfectly complements the apple flavoring of these muffins…but, there’s more to like. A 1/2 cup Nature Valley™ Protein Granola provides 10 grams of protein and 22-26 grams of whole grain, at least 48 grams of whole grain recommended daily. Come to think of it, I’m in need of an energy boost…right now. I’ll take two please! Please rate this recipe and tag @DinnerMom or #DinnerMom if you make it. We love to see what you are cooking up! 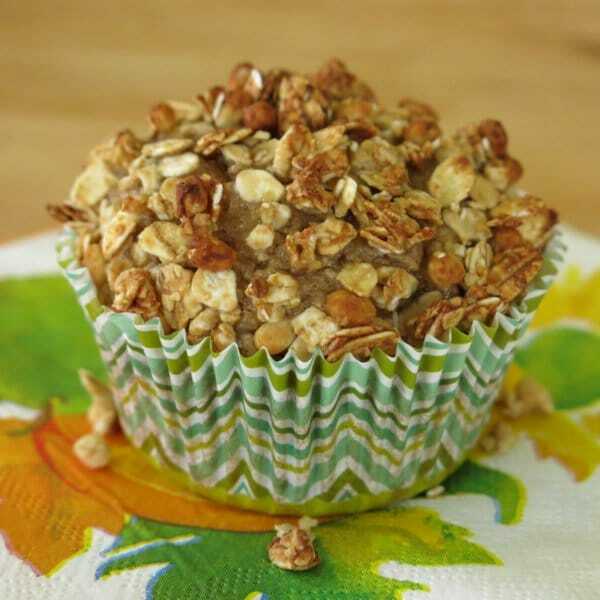 Easy applesauce muffins have a crunchy granola topping that's mixed in the batter too. Enjoy these for breakfast or for a healthy, on-the-go snack. Combine flour, sugar, salt, baking powder, baking soda, and cinnamon in a bowl. Stir egg and applesauce into the dry mix just until everything is moistened and combined. Fold in 1/4 cup granola. Spoon 1 Tablespoon of granola over each tin with muffin batter. Bake for 20-25 minutes or until the muffins are firm and granola just begins to brown a little. Allow muffins to cool for 5 minutes in the tin and then remove to a wire rack to cool further. Because no oil is used in the muffins, it is important to allow the muffins to cool completely before peeling off the paper liners. For best results cook in a muffin tin coated with cooking spray. Apple season is here! Can’t wait to make apple baked goods and these muffins look so hearty and delicious. Better double up on the recipe because between me and my husband, they will be gone in no time! Love the crunchy granola topping on these muffins! 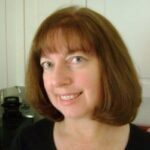 I’ve been on a mission lately to find healthier breakfast items for my family. These muffins are just that! Perfect! I can’t wait to give them a try. Thanks Kim! I hope you enjoy them! Hot diggity dog! Those look fantastic! Thanks Rebecca! They taste as delicious as they look! I always need more energy! These look like the perfect grab and go breakfast as we enter fall and crazy busy season! How did you know I already had this granola ready to go at home!? 🙂 Seriously though, a perfect use for leftover granola (not that I know what that is..). LOL! I always have granola on hand too! I add it to everything from yogurt to fruit! 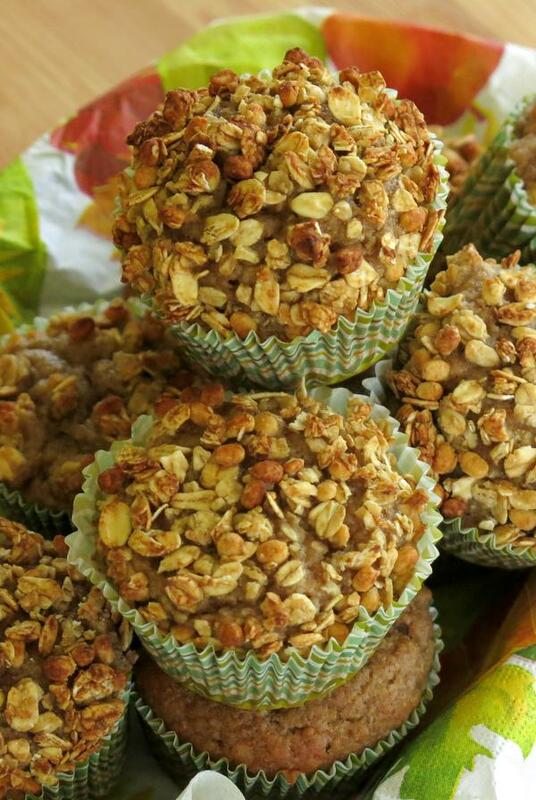 These muffins look like our perfect to-go breakfast! I love the granola in the batter! Awesome! I’d love to hear how they turn out! These look like fantastic muffins for back to school, delish!! Thanks! Muffins are a lunch box staple around here! Love muffins look perfect for fall! Love the crunchiness from the granola on top… sounds aamazing! Great to make ahead for an easy on the go breakfast! What a great make ahead breakfast! These are perfect for those grab and go mornings! 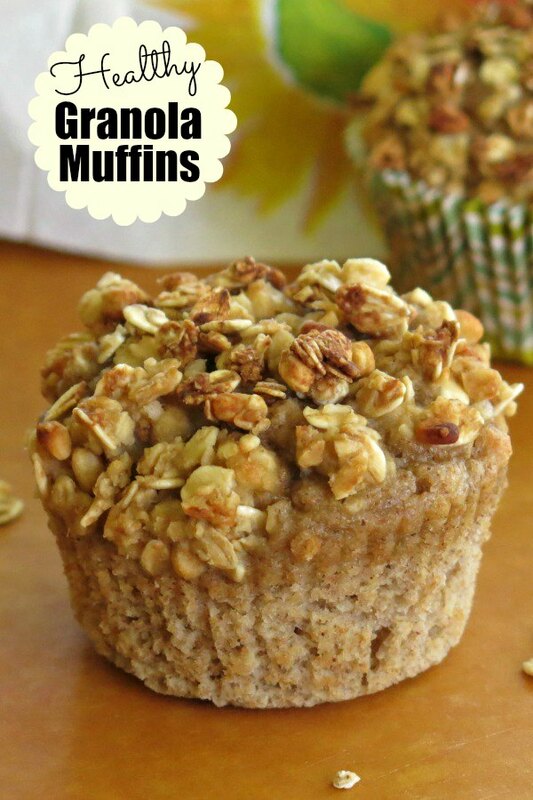 LOVING the granola on top of your muffin! Looks very soft and delicious. 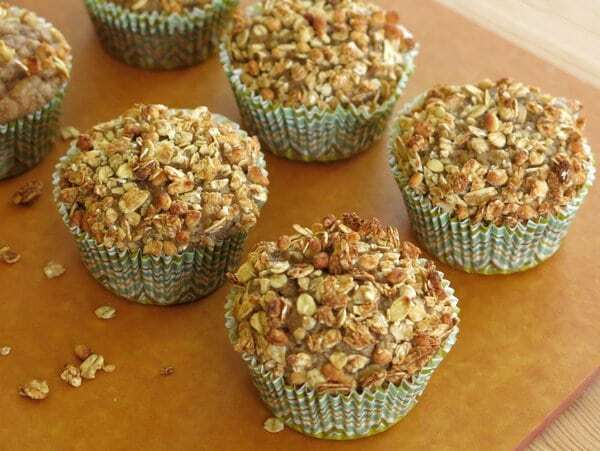 Made these last night with a coconut granola blend and they were a big hit. Trying a cinnamon granola blend next! I’m so glad you enjoyed them! Love the blends that you tried!